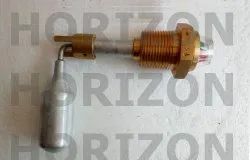 Model All models of Atlas copco,Ingersoll-Rand,ELGI,Kaeser,Chicago Pneumatic etc.. Brand Atlas copco,Ingersoll-Rand,ELGI,Kaeser,Chicago Pneumatic etc..
We Are Leading & Reliable Source For Thermal Valve, Thermostatic Valve , Kits, for all major rotary screw compressor Like Atlas copco, Ingersoll-rand, ELGi, Chicago Pneumatic, Sullair , Kaeser Etc..
Leveraging on our experience, we are presenting a wide assortment of Rotary Screw Compressor Spare Parts. 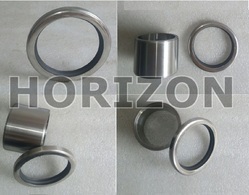 These parts are manufactured and designed adhering to industry standards at our vendor’s end. We ensure to opt for strict quality inspection ensuring perfect weight, accurate dimension, quick filtration or fixing, design and availability for various custom options. 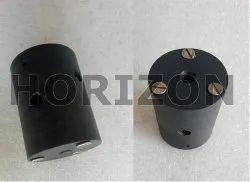 Moreover, clients can avail MPV kit, unloader valve kit, thermostatic valve, pneumatic cylinders, gas springs, air and oil hoses, poly v belts, intellisys key pad, elektro-nikon key pads, temperature switches, air and oil cooler. 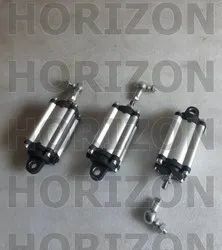 We supplies, MPV kit,Unloader valve kit, Thermostatic valve,Pneumatic cylinders, Gas springs, Air and oil hoses, Poly v belts,Intellisyd key pad, Elektronikon key pads,Temperature switches, Air and oil cooler etc. 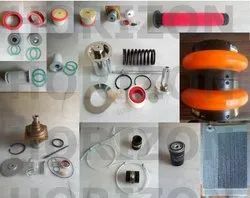 We are supply the Replacement Spare Parts of Rotary Screw Compressors for all major brand like KAESER, ATLAS COPCO, SULLAIR, ELGI, INGERSOLL RAND, CHICAGO PNEUMATIC etc. Brand Atlas copco,Ingersoll-Rand,ELGI,Kaeser,Chicago Pneumatic,Boge,Gardner Denver,Sullair etc..
Oil level gauge , Oil Level indicator, Oil sight glass for Ingersoll-rand , Atlas copco, Kaeser, Elgi, Chicago pneumatic etc.. screw compressor. 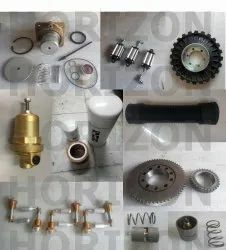 we are leading and reliable supplier for Maint.kit Inlet valve, unloading valve kit, MPV kit, and other kind of kits for kaeser, atlas copco, Ingersoll-rand , Cp, Elgi, Sullair etc..
We at HORIZON ENTERPRISE carry hundreds of replacement aftermarket kaeser filters and air compressor parts from the hard-to-find, to the most common, including air filters, air oil separators, oil filters,sigma fluid, couplings, vavle kits, combi coolers as well as individual spare parts. our replacement parts & lubricants are 30-40 % less in price than the oem, available from our stock and 100% compatible with the oem blend. 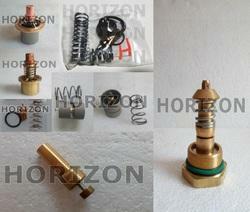 Screw Compressor Spares are precisely fabricated utilizing premium quality factor inputs. Before delivering Screw Compressor Spares to the clients, our quality controllers conduct a series of tests on the products to maintain the quality. Size as per requirement / Part no. 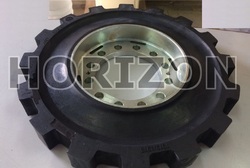 We provide Replacement Lip Seals / Lip Seal kits / Shaft Seal / Shaft Seal Kits with bush and sleeves for all major rotary screw compressor Like Atlas copco, Ingersoll-rand, ELGi, Chicago Pneumatic, Sullair , Kaeser Etc..
With the excellent support of our brilliant professionals, we are engaged in presenting Unloader Valve Kits. At our vendor’s end, these kits are designed and manufactured after researching on various aspects such as superior performance and life expectancy. 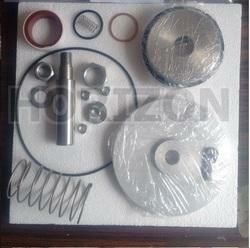 The offered kits are primarily installed for processing machinery depending upon applications. 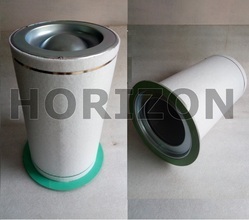 Provided kits come with outer heat saving insulation covers. Such designs offer the optimum combination of physical strength and high filtration. we are Leading supplier of Unloder valve kit for Screw Compressor (Replacement / Compatible) suitable for Atlas copco, Ingersoll-Rand, ELGI, Kaeser, Chicago Pneumatic, Boge, Gardner Denver, Sullair.. 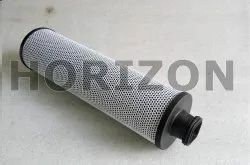 Compressor Brand Atlas copco, Ingersoll-Rand, ELGI, Kaeser, Chicago Pneumatic, Boge, Gardner Denver, Sullair etc..
Aftermarket / Replacement / compatible / Interchangeable Oil filters and Oil filter cartridges for Atlas copco, Ingersoll-Rand, ELGI, Kaeser, Chicago Pneumatic, Boge, Gardner Denver, Sullair etc..
we are Leading supplier of Rotary (Screw) Compressor Replacement / Compatible spares suitable for Atlas copco, Ingersoll-Rand, ELGI, Kaeser, Chicago Pneumatic, Boge, Gardner Denver etc..